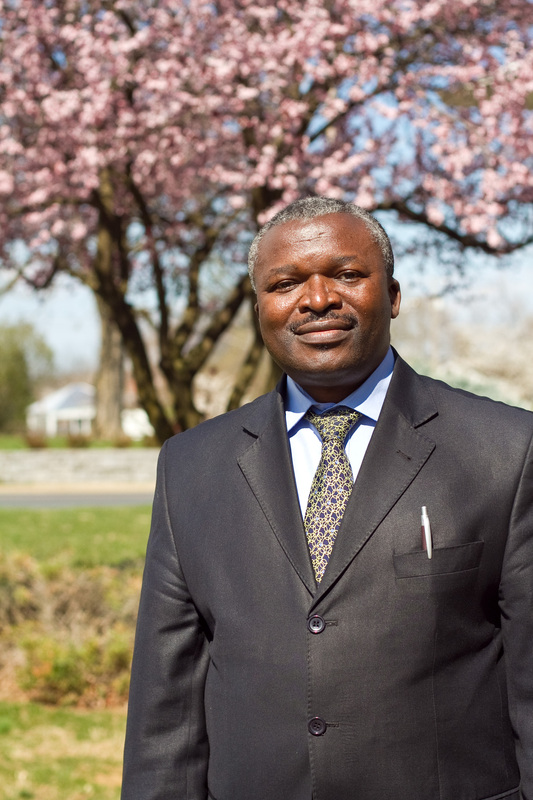 John Katunga Murhula, MA ’05, who works for Catholic Relief Services (CRS) from his base in Nairobi, Kenya, was at CJP for a half-day visit on April 6. As CRS’s regional technical advisor for peacebuilding and justice in East Africa, John’s attention is focused upon Tanzania, Uganda, Kenya, Ethiopia and Sudan. At a lunchtime presentation and over tea, John told his friends and colleagues at CJP that he viewed Sudan as a microcosm for many countries in Africa. Historically, it was never a unified region, but was treated and viewed as such under British colonial rule. After independence, power devolved to Muslim-Arabic rulers based in Khartoum, “who behaved as if the southern and western [Darfur] regions of the country, as well as the east close to Eritrea did not exist in terms of services and infrastructure,” said John. The only interest of the Khartoum-based rulers was to try to force all inhabitants of the region to adopt their own Muslim-Arabic religion and culture, he added. John said such economic and social oppression over many decades is the reason that South Sudan turned to armed resistance, leading to an African and internationally supervised peace agreement and to the vote to separate from northern Sudan on July 9, 2011. The region remains a tinderbox, John added, because of serious issues that remain unresolved, such as who will benefit from the oil under the soil of South Sudan and whether the new government of South Sudan will be truly representational of the various ethnic groups in the region, or instead be dominated by one. Noting that the international community had shifted its attention to the disaster in Japan and the pro-democracy movements in the Middle East, John said “we need to bring the attention of the international community back to Sudan,” or the leaders based in Khartoum will feel free to brutally reverse the steps toward independence for South Sudan and will continue to ravage Darfur. “If I were asked to give a speech heralding the independence of South Sudan, I would title it ‘From Blood to Sweat,’” said John. “I would say, ‘Guys, this is no time for rejoicing and relaxing – now the hard work begins.’” There is a tendency in Africa for the “political party that wins taking it all,” rather than recognizing that including representatives of other parties leads to greater social stability, he said. In response to a question, John also said that political and social conditions in the Democratic Republic of the Congo are better today than they were 15 years ago, though far from satisfactory, and that he derives hope from viewing change as a long-term process rather than expecting a well-functioning democracy to be built overnight. 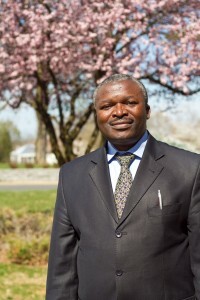 John has been a visiting scholar at the Kroc Institute for International Peace Studies at the University of Notre Dame and has researched the conflict over minerals and forests in the Congo as a scholar at Woodrow Wilson International Center for Scholars in Washington, DC. On this April visit to the U.S., John spoke at Boston College, American University and Georgetown University in addition to EMU.